This is what founder of the health service Aneurin Bevan wrote in his book In Place of Fear in 1952. Yet in 2019 individuals are systematically being denied essential medical treatment due to their immigration status. Applying policies to deny people access to care drains resources and costs money in itself. This initiative is not logical, not civilised, and it’s not right. Earlier this month Esayas Welday an Eritrean asylum seeker was denied cancer treatment after hospital staff forced premature discharge over his inability to pay. Mr Welday’s treatment was later resumed when it was realised that staff had made an error in stopping it but the distress this policy has caused has been significant. This is merely one recent example of which there are sadly many. There exists widespread ignorance and confusion in the NHS over how to implement government legislation when dealing with migrants. In October 2017 the government brought in legislation that applied a hostile approach to immigration, including healthcare. 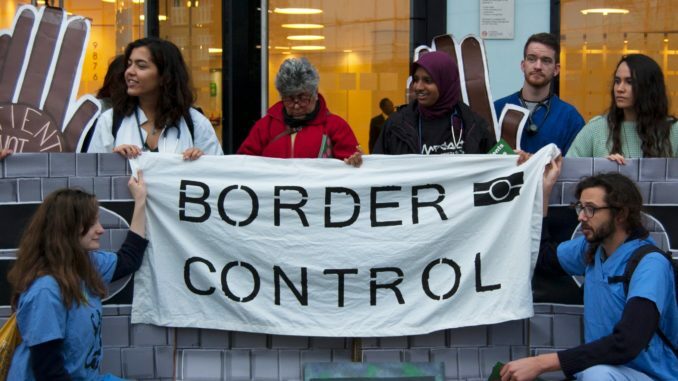 English trusts must now charge most undocumented migrants, including refused asylum seekers, upfront for many forms of hospital-based treatment such as maternity, paediatric and cancer care. Migrants, along with other ill and vulnerable people, are being scapegoated to distract from nine years of government underfunding. Yet denying all of them treatment will not solve the NHS crisis, it will not even scratch the surface of what is really needed. Migrant women are sometimes giving birth without access to any medical support – denying vital medical treatment is inhumane and dangerous. A recent Freedom of Information request by the Save Lewisham Hospital Campaign revealed that of 9,000 deliveries in 2017/18 in the two hospitals in Lewisham and Greenwich 541 women were charged whilst 1,100 were deemed eligible only after checks – 18% faced this challenge. Central to depriving migrants NHS treatment is the belief that these ‘health tourists’ will bleed the system dry and that there are insufficient funds to allow for their care. However, the money spent on treating migrants amounts to less than the NHS office stationery budget. The Kings Fund estimates that health tourism costs the UK between £60 – 80 million per year. This compares to the annual NHS budget of £126 billion (2017 spend). It costs less than a tenth of one per cent of the total NHS budget. “Countries tend to use costs as a justification of limiting or delaying healthcare access to newcomers or providing emergency access only, but this is not cost-effective – early identification costs less than delaying until absolutely necessary hospital treatment”. The government must scrap these discriminatory rules imposed upon the NHS in order to reverse the hostile environment and to treat every patient the same. They should ensure no one suffers or dies due to being refused treatment. Staff must be able to do their job without fear of disciplinary action, and the national health service must be able to do what it was created for, namely to treat all regardless of situation or ability to pay. That is the social advance we are all surely most proud of, and one which is slowly being eroded by a government whose own ideology fundamentally disagrees with that democratic vision. 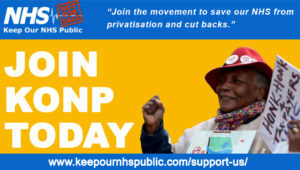 Keep Our NHS Public have a wealth of information on the subject of migration and access to healthcare. For further reading please visit our website.